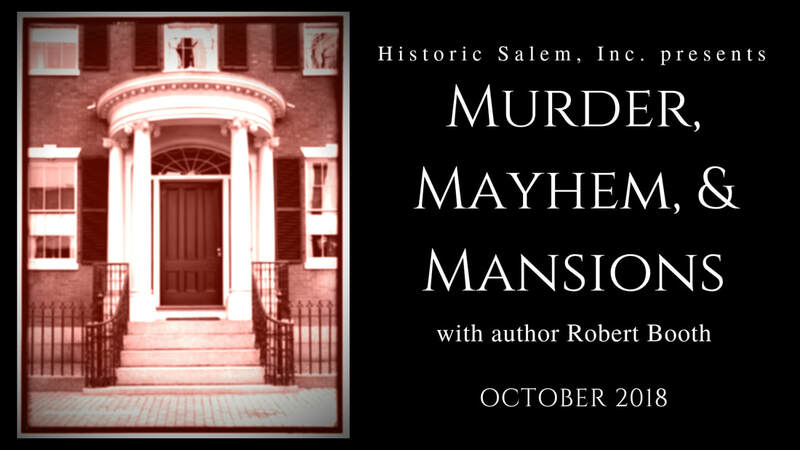 Join Robert Booth, author of Death of an Empire: The Rise and Murderous Fall of Salem, America's Richest City, on a walking tour of sites associated with Salem’s criminal past: untimely deaths and disappearances, ghostly visitations, murders, mob scenes, public and private mayhem, and other dark deeds from the crushing of Giles Corey in 1692 to the fatal visit of the Boston Strangler in 1963. Proceeds will support Historic Salem's mission to advocate for the city's historic structures. Even if something terrible happened there.